In a recent article about the new movie, 1985, that just premiered at SXSW, actor Cory Michael Smith came out as queer. In the film, he plays a closeted man with AIDS, Adrian, who returns home to Texas at Christmas. When we meet Adrian, his partner has recently died of AIDS. He himself is sick. We watch his pilgrimage, leaving his community in New York City for his family home in Texas, and perhaps expect to see a coming out story. But in many ways, [Writer-director Yen ] Tan says, 1985 is a film about not coming out. There’s an added layer to the tragedy: the desire to be truly known by the people you love, especially before your death. And the emotional burden you carry when they don’t. 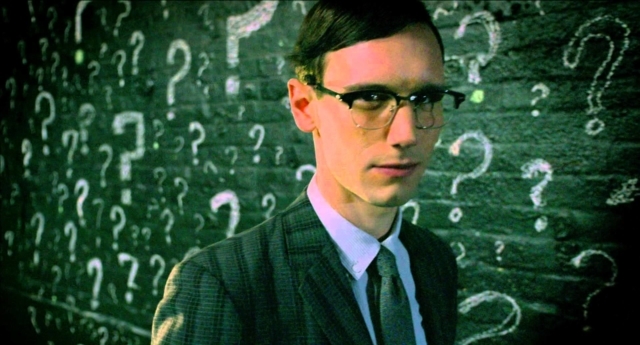 That notion in particular struck Cory Michael Smith, who plays Adrian in the film. The 31-year-old actor, who has starred in Carol and HBO’s Olive Kitteridge miniseries, is best known for playing Edward Nygma, aka The Riddler, on Fox’s Gotham. “There’s something special about telling a story that feels closer to home,” Smith, who identifies as queer, tells The Daily Beast. “I’m not exactly like The Riddler in real life. He says his family handled his coming out with “a lot of love,” though it took “a lot of time.” It wasn’t hard for him to imagine the pain Adrian feels as he goes through his last holidays with his parents (played by Virginia Madsen and Michael Chiklis). The fear of coming out is compounded by a disease that no one knows much about, that is killing his community, that killed his boyfriend, that he knows will probably kill him, too. This will probably be his last Christmas, and he knows it.